A Medieval RPG Without Dragons and Magic!? Kingdom Come: Deliverance is the first medieval RPG of it's kind, promised to not include fantasy based gameplay. Kingdom Come: Deliverance is a… WHAT?! A realistic Medieval RPG that promises no magic, dragons, or high fantasy gameplay? 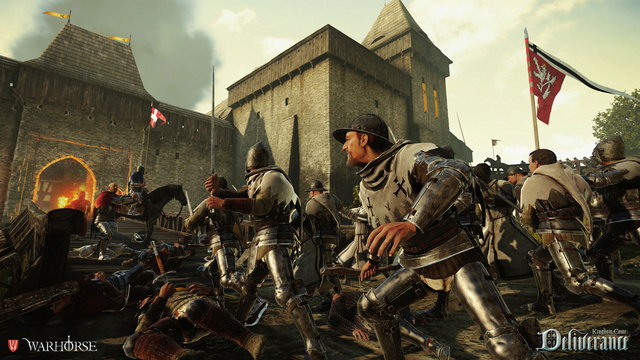 Yes, Kingdom Come: Deliverance is a “realistic open-world first-person medieval RPG” by Czech studio coming in 2015, and looks like it could potentially be an amazing game. The game is like nothing we have seen, because 9/10 if the game is an RPG and is based in a medieval time period there is some sort of fantasy feeling to the game. Kingdom Come: Deliverance is something to keep an eye on, it’s very unique and I personally can’t wait to get more information on this game. Powered by CryEngine 3, this next-gen title will be coming to PC and consoles with a totally different angle that will hopefully knock us out of our seats. New information on the game will be released soon, and if you wish to follow all of the action or see the trailer and teaser video you can find it here.